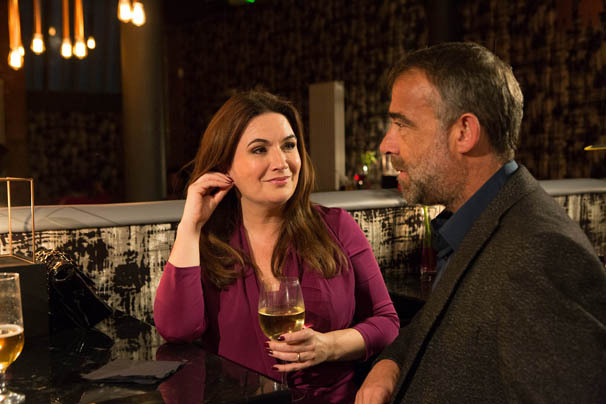 Corrie’s Debbie Rush – New Year, new look, new love! Did you see Anna’s transformation coming? Do you ever feel exposed in some of her more figure-hugging outfits? How would you describe her dress code? But Owen was the love of your character’s life. Has that changed for good? Were you nervous about canoodling with a new co-star? Anna is all smiles now, but there must be a storm approaching, what with Pat Phelan turning up as one of Kevin’s new labourers? Do you still enjoy working on Corrie? Are you and Anna alike?